All metal construction with plastic cover on top. 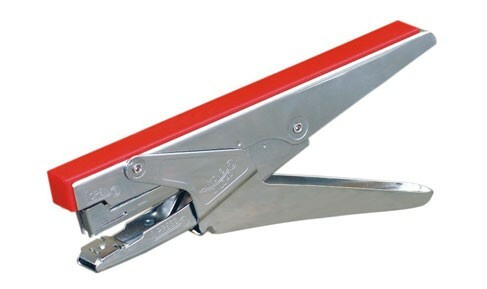 Convenient stapling through plier type action. Indicate maximum insertion paper depth. The base length of depth is 168mm and breadth is 40mm.